Background Actors are vital to every production. They bring authenticity to small towns; energy to high schools; they add character to coffee shops. In Lady Bird, Background Actors had a big role in bringing Greta Gerwig's vision to life. Lady Bird follows Christine "Lady Bird" McPherson (Saoirse Ronan) as she navigates the complexities of growing up. She quarrels with her mother (Laurie Metcalf), distances herself from her best friend (Beanie Feldstein), and yearns to leave her hometown of Sacramento for "somewhere with culture" on the East Coast. The film, written and directed by Gerwig, filmed exteriors on location in Sacramento and New York, but shot most of the interiors around Los Angeles. Central Casting Los Angeles had the privilege of casting Background Actors for the scenes filmed in Southern California. Casting Director Katie B., who was a Casting Assistant at the time, worked on the film along with Casting Directors Angie G. and Sydney M. Many of the film's scenes take place at the fictional Immaculate Heart Catholic High School. 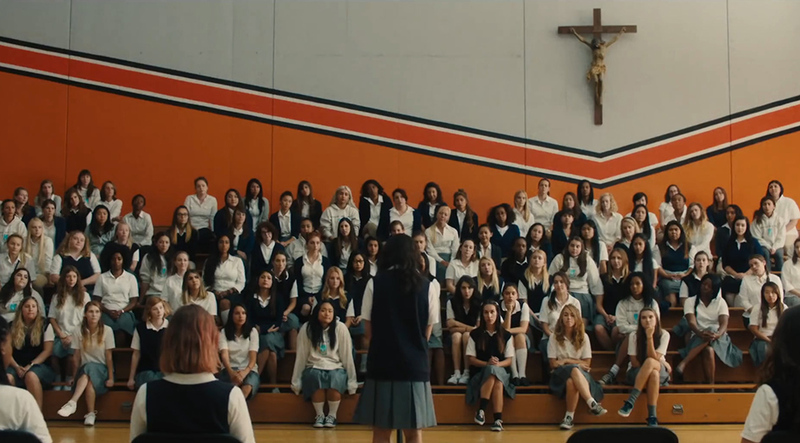 For these scenes, the casting team had to cast women eighteen-to-look-younger to portray high school students who all had similar looking pleated gray skirts. "The challenging thing was getting people who had the wardrobe, who looked young, and who looked like they could come from the early 2000s," Katie said. "We asked for gray skirts and people would send us pencil skirts. High school girls don't wear pencil skirts, at least not in Catholic high schools. It was important to find that right style, so on camera it would look similar enough." Another critical scene to cast was the prom scene. Production provided specific looks they were going for and gave Background Actors a color palette to help them find the right style. "Since they are from a Catholic girls' school in the 2000s, the look is not what you'd picture from a prom on a TV show today," Katie said. "We cast people who had more modest dresses and gave them notes from production on how to style their hair and make-up. We trusted our Background Actors to do the best they could and it came out great." Having the right cars for a specific time period is a way for filmmakers to bring life to an era. Finding these cars is another aspect of the production process that highlights the importance of Background Actors. Our Casting Directors have refurbished and well taken care of cars on file from multiple eras, but finding cars that looked brand new from 2002 provided some challenges. "I came of age in the late 90s and early 2000s, so it's very weird for me to think of it as a period piece," Katie said. "We haven't really thought of cars from the early 2000s as ones to be preserved for the future. Now people are thinking, 'maybe I should try to get my car in better shape.'" 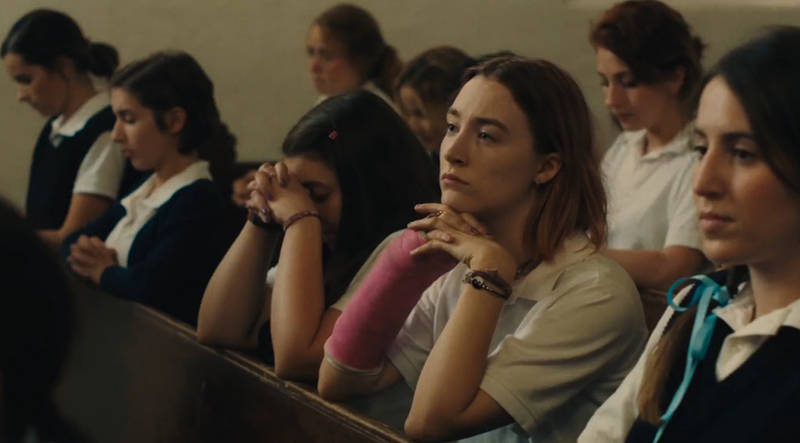 Lady Bird has received five Academy Award nominations, including Best Picture, Best Original Screenplay, Best Director, Best Actress (Ronan), and Best Supporting Actress (Metcalf). Any trophies they take home will add to the Golden Globes, Screen Actors Guild Awards, and film festival awards the film has already won. 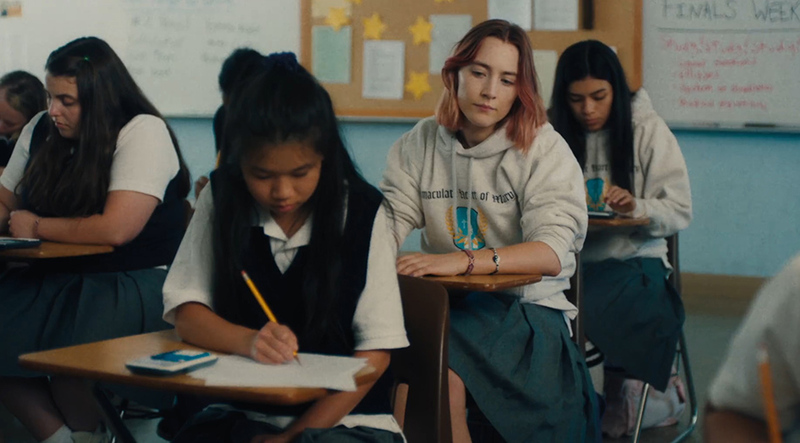 It's hard to predict how a project is going to be received, but when a film like Lady Bird connects with the audience, it's special for all the people involved, including Casting Directors and Background Actors. "It feels like a movie of a generation," Katie said. "I think people saw it as their story, they related to the time period, to the music, and those characters. Seeing how we were able to contribute to that with the Background, the cars, and making sure they had the right wardrobe was awesome." If you want to be a successful Background Actor and contribute to award winning productions like Lady Bird, you have to be willing to put in the work. Casting Directors stress the importance of Background Actors showing up to set prepared and on time. Assistant Directors and other members of production take notice when you do your job well. "We get ADs who say they want a person back," Katie said. "Occasionally, you might be upgraded. When Background Actors take every opportunity to work hard and are excited about film and entertainment, then you never know what could happen." Want to become a better Background Actor? Check out our article 10 Things You Can Do to Be a Successful Background Actor in 2018. Not registered yet? Learn how to become a Background Actor with Central Casting.